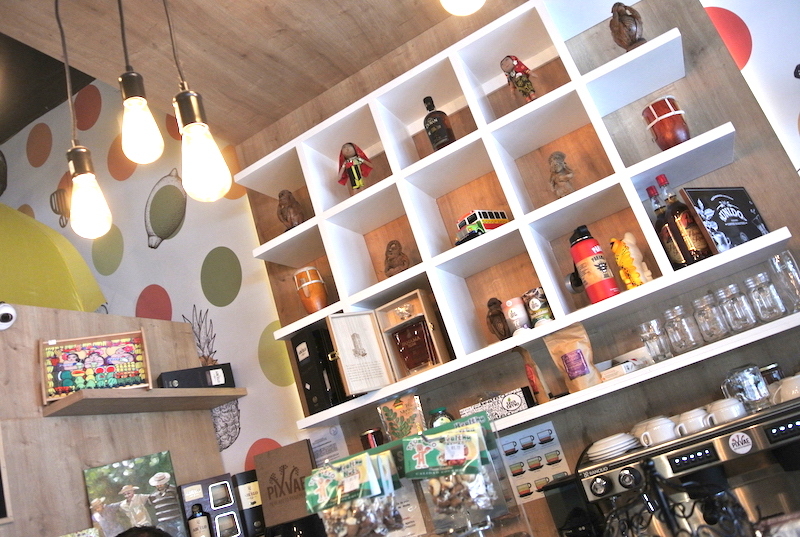 Pixvae Mercadito Panameño is a market & cafe situated on Calle 75 in Panama City’s residential San Francisco neighborhood. 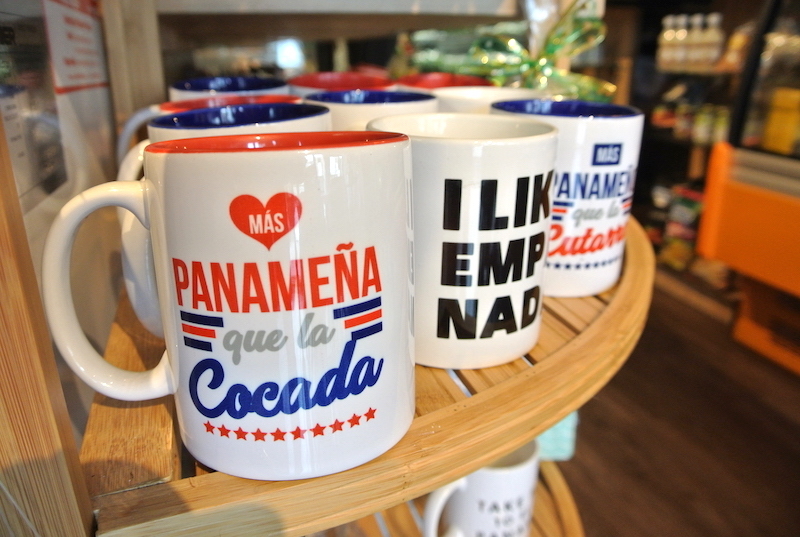 Here you can find products like food, clothing, coffee and more that are 100% Panamanian. As I entered Pixvae, I was welcomed by a pleasant surprise as this is not your typical gourmet market. I picked up a jar of peanut butter from a brand I hadn’t heard of before and turned it over to discover it was made it Panama. 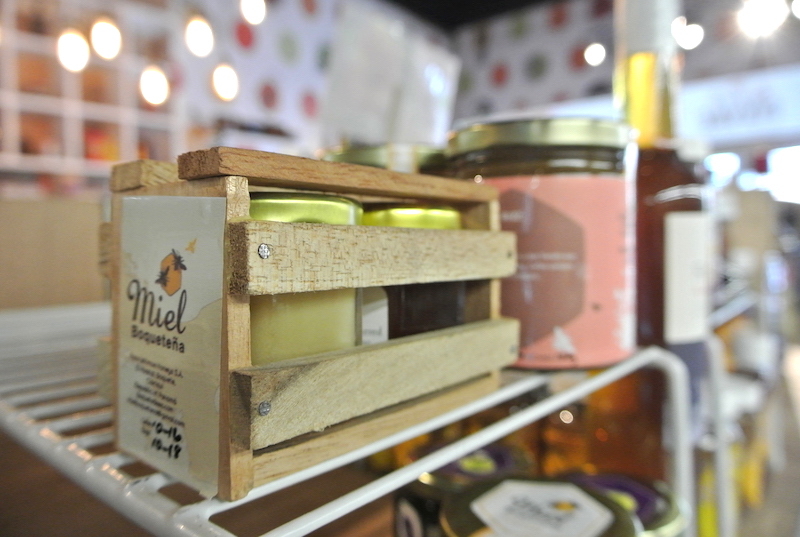 Rows of neatly organized shelves feature organic honey and coconut oil, artisanal hot sauces, free-range eggs, and craft beers among others that are all MADE IN PANAMA. 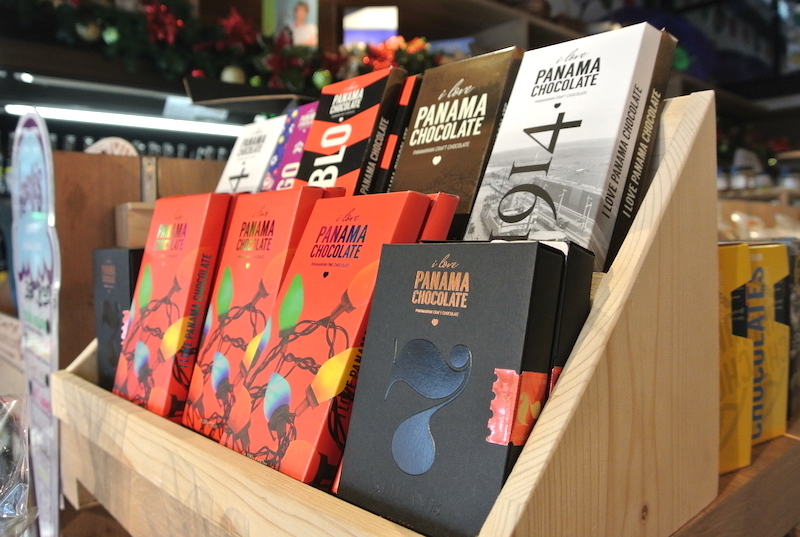 The concept of Pixvae is simple: provide one central hub to house locally made Panamanian products. 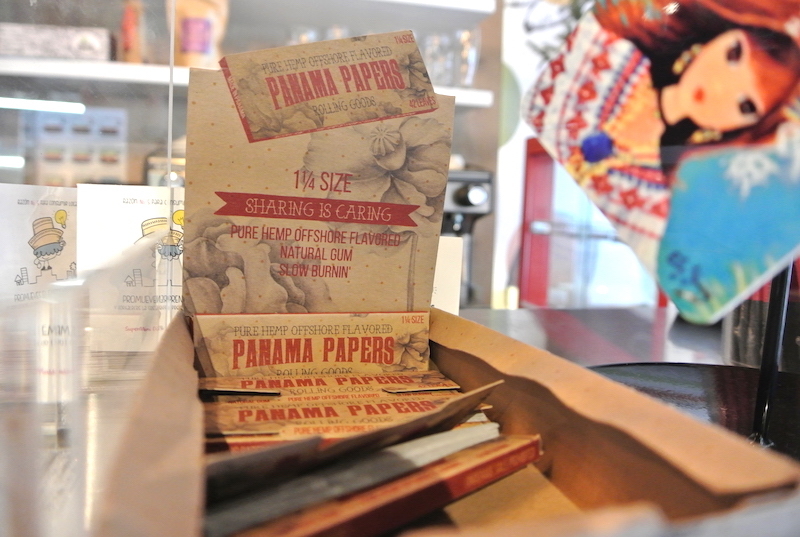 During my visit, I sat down with the owner Analissa and learned about her struggle to find products in Panama that are made in Panama, which inspired her and her husband Manuel to open the store. 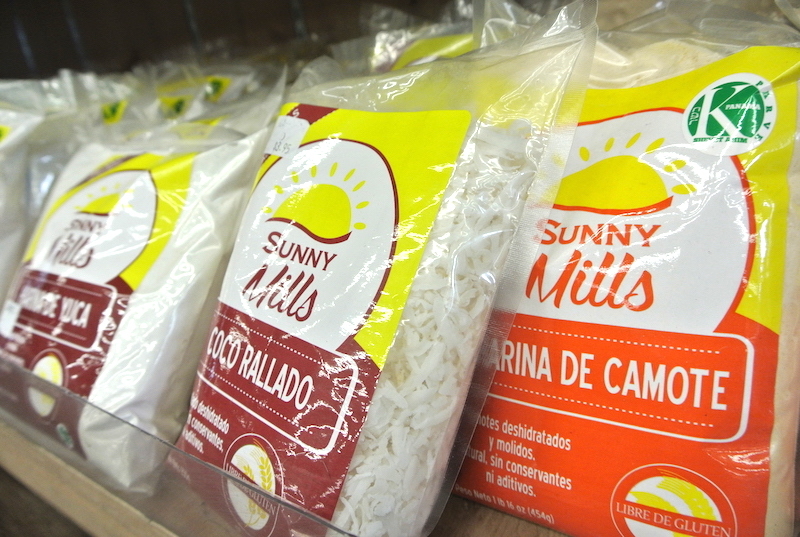 They visited weekly mercaditos (flea markets) around Panama City and discovered that people were making high-quality products, but didn’t have an easy way to sell them. With a baby on the way and a bustling lawyer career, Analissa and Manuel opened Pixvae in 2016. 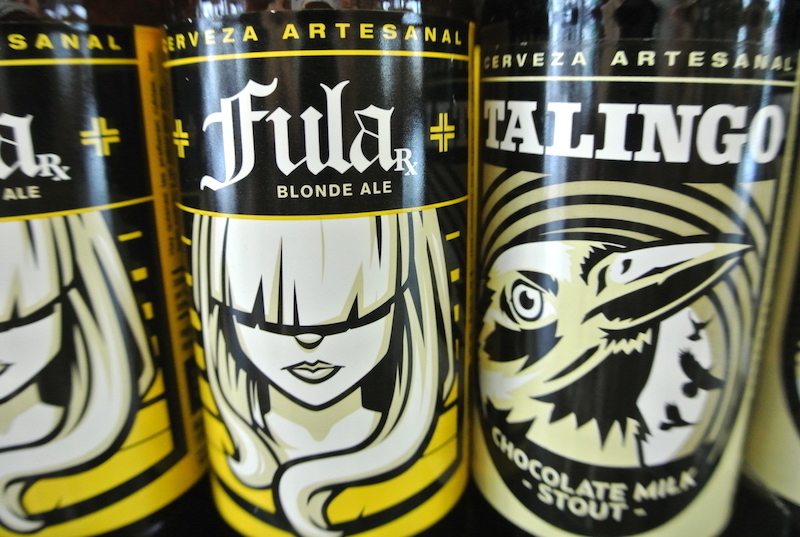 The name of the store was inspired by a visit to a small town in Panama called Pixvae that you’ve probably never heard of (the total population is 820). We spent some weekends in the past in Pixvae, and it was magical. Our view was directly in front of the ocean, and we could see whales jumping in the distance. 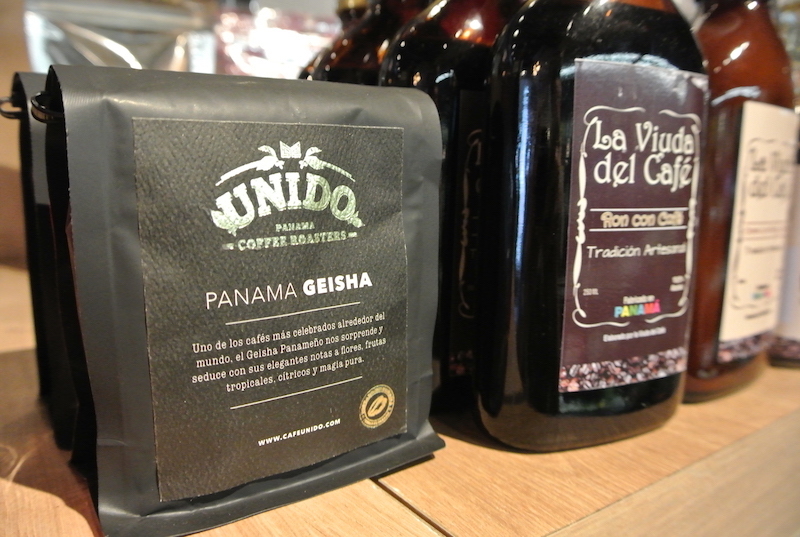 We wanted to pay tribute to what we consider a Panamanian treasure and name our store after this town, unknown by many, as a representation to discovering how amazing Panamanian products can be. 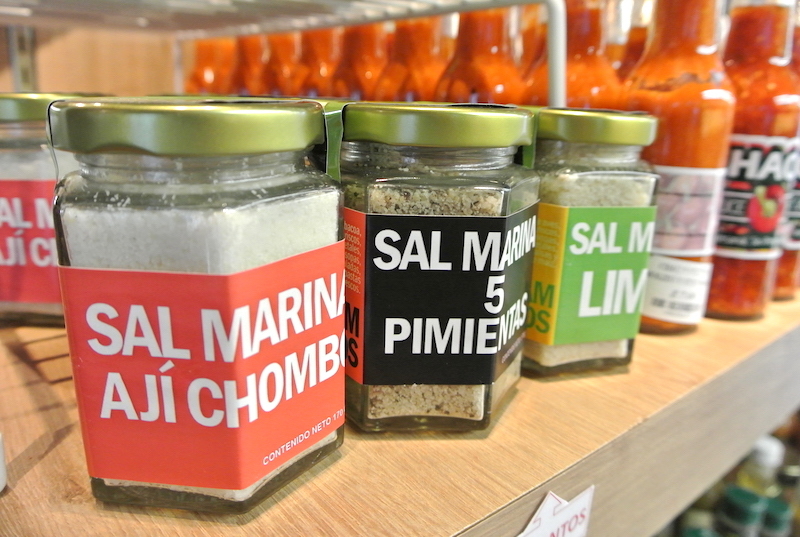 A year later the store now features over 1,000 products that are locally made, and they are always adding new inventory. 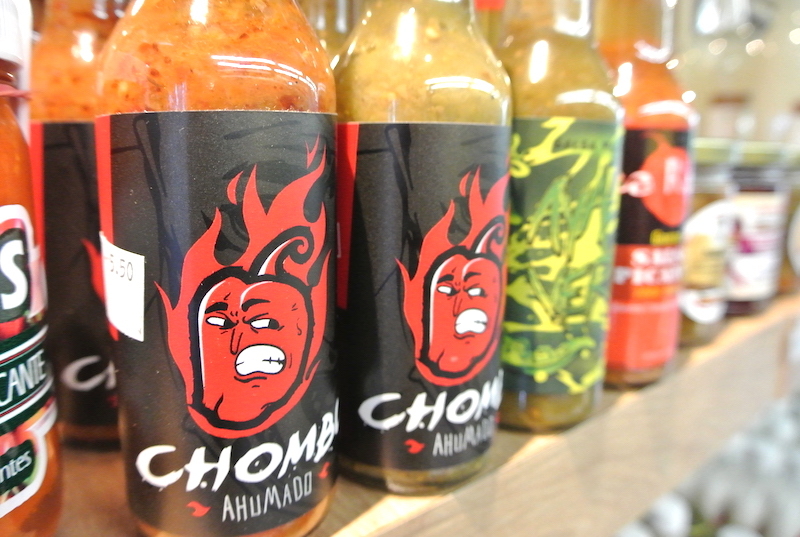 It’s actually possible to make a full grocery shopping trip. 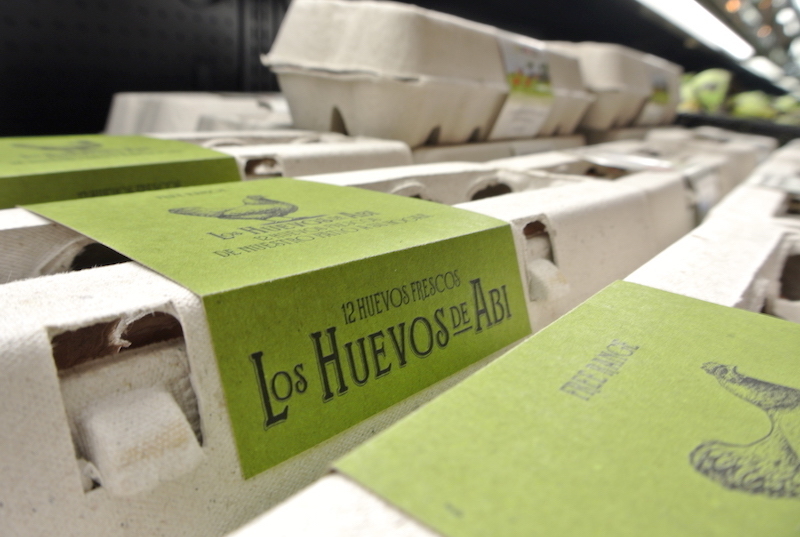 One refrigerated section houses organically grown fruits, vegetables & eggs. 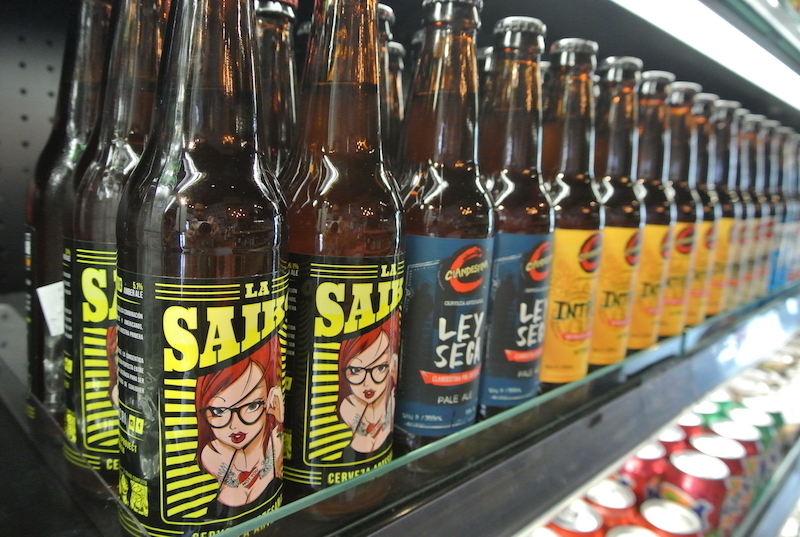 Another is filled with local craft beer, coconut water, & premade items like hummus, ceviche, and dips. The freezers are filled with steak, chicken, tamales, bread, pasta and ice cream. 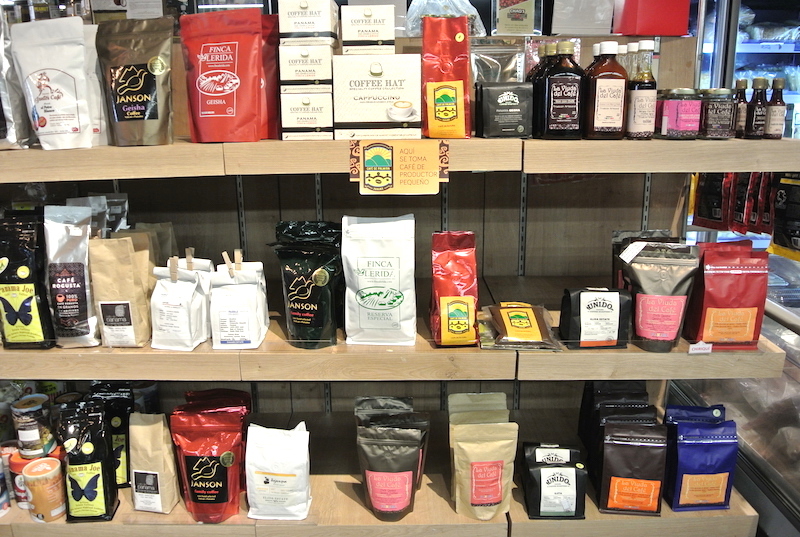 And the shelves have liquor, coffee, flour, sauces, honey, jams, spices, snacks, and more! 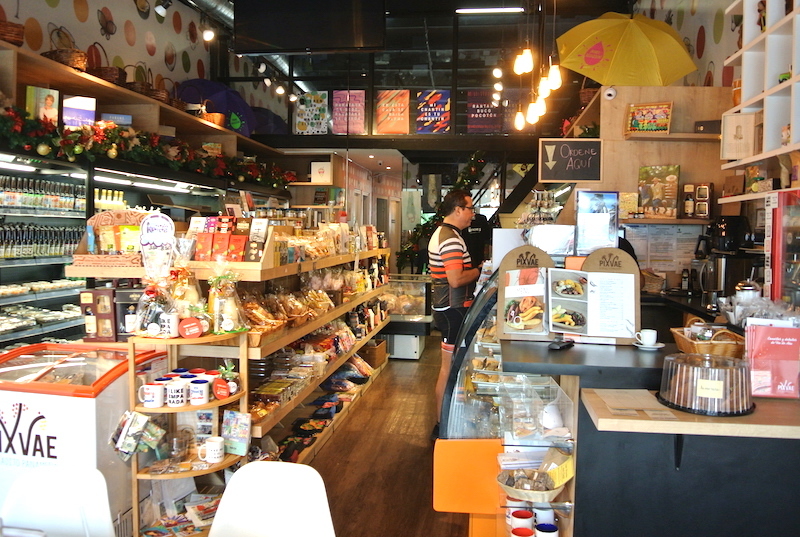 Pixvae not only offers a full grocery but also a cafe where you can stop by for a bite to eat. 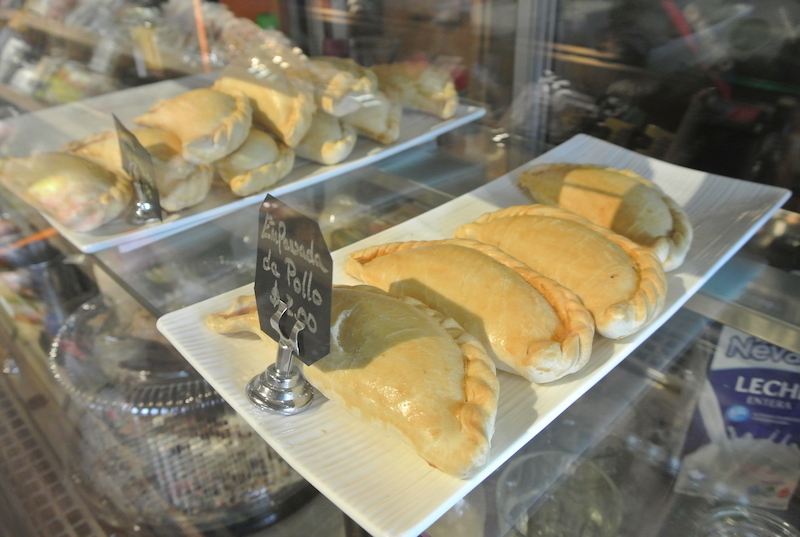 For breakfast, they have local specialties like empanadas, carimañolas, eggs, chorizo, and more. 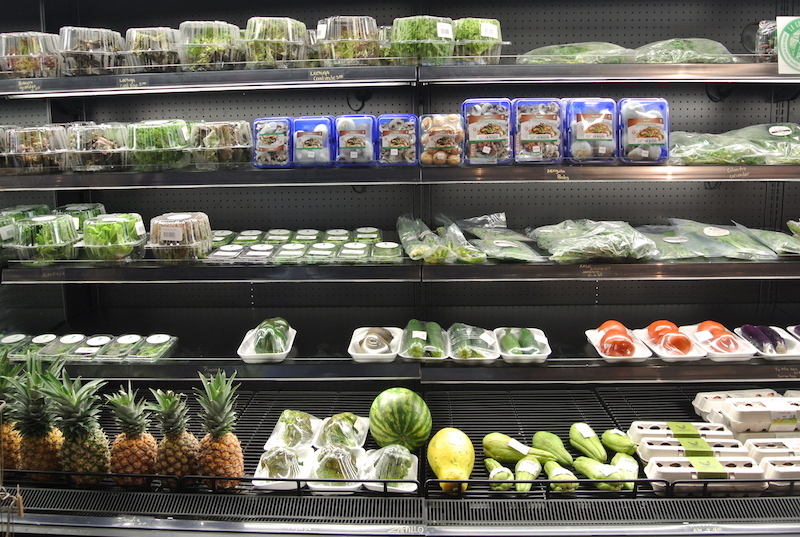 Or for lunch, stop by for the daily soup, sandwich, or salad. 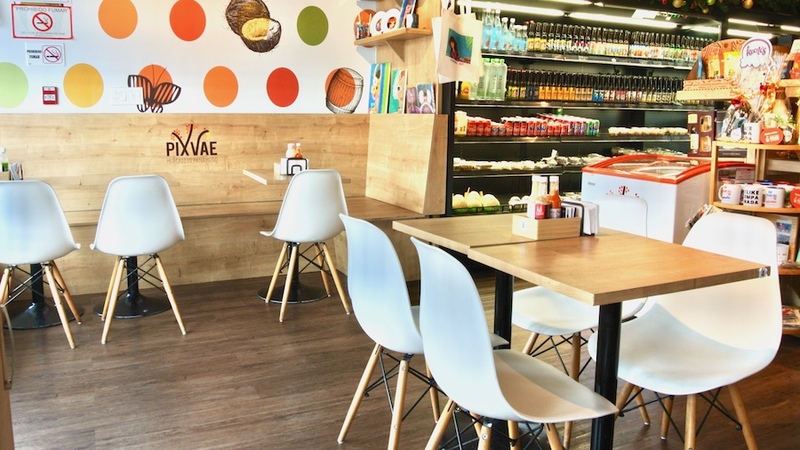 Accompany your meal with a gourmet coffee, fresh juice, or dessert! 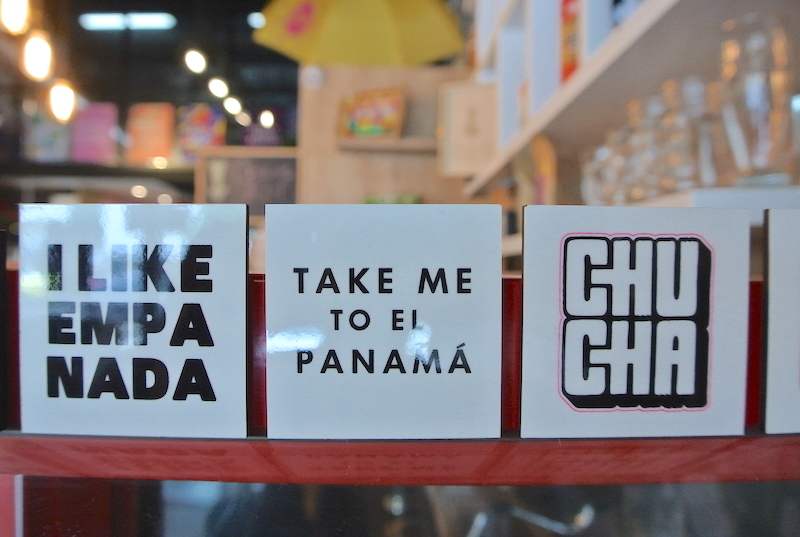 Besides this being a favorite spot for neighborhood locals to visit, Pixvae is perfect for visitors to stock up on souvenirs from Panama! 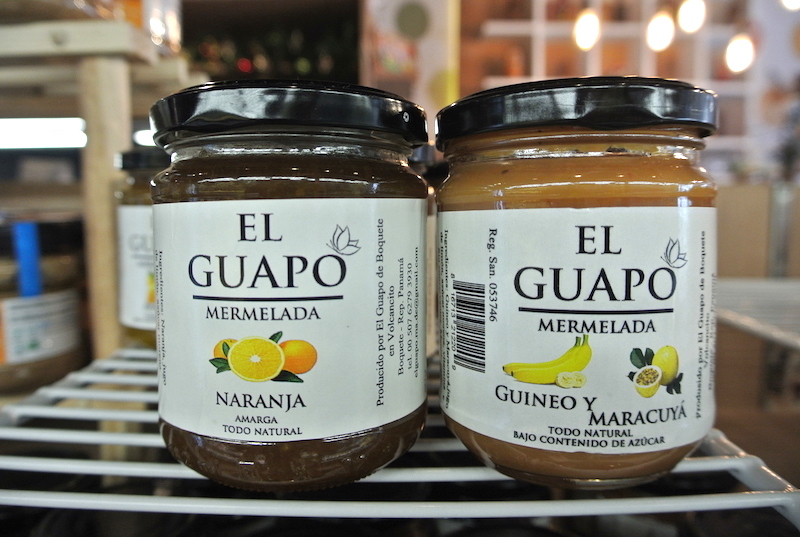 Whenever I’m traveling, I love to bring people unique foods, liquor, local coffee, or any other unusual finds that are not available back home. 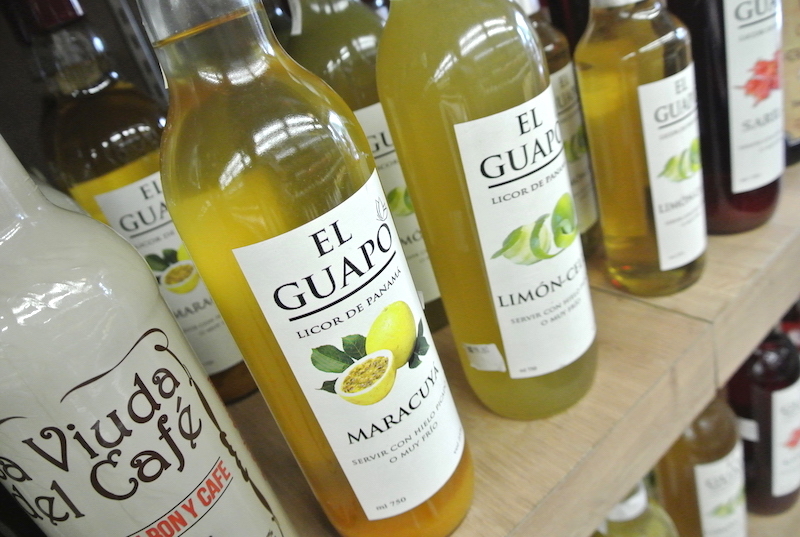 I recommend taking baking a bottle of the maracuya (passion fruit) liquor made by El Guapo or the Chombo Ahumado hot sauce for something you can’t find elsewhere, and your friends will love. 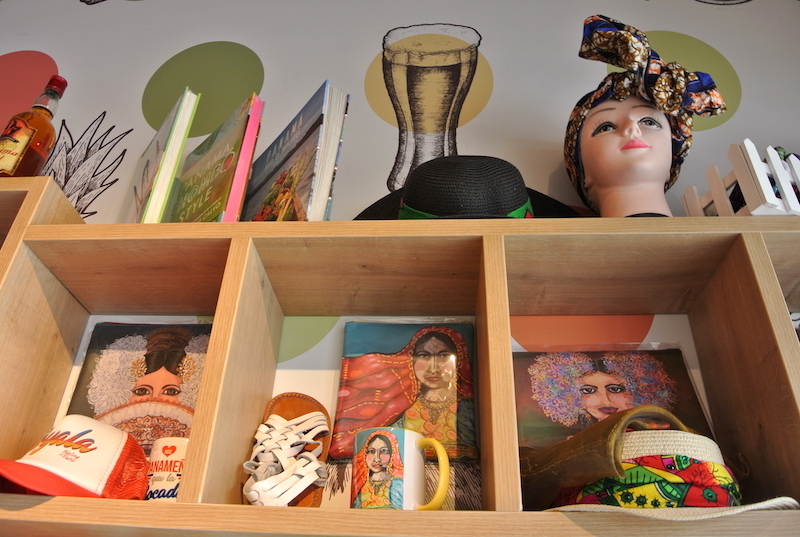 They also have uniquely designed mugs, shirts, bags, shoes, and more that you won’t find in a typical souvenir shop. 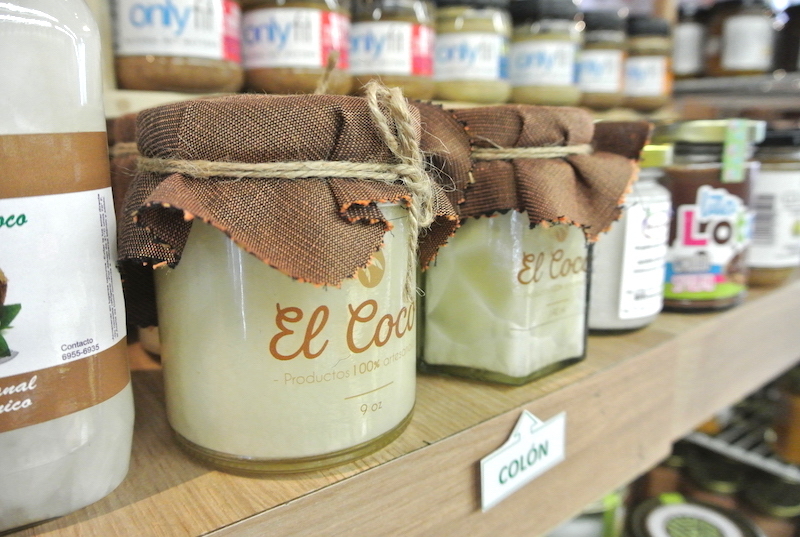 It’s exciting to see a store promoting local Panamanian products. The overall atmosphere, local products on offer, and service are just a few things that I love about Pixvae, and I highly recommend stopping by soon! For the latest updates on Pixvae, visit their website and be sure to follow them on Facebook and Instagram. 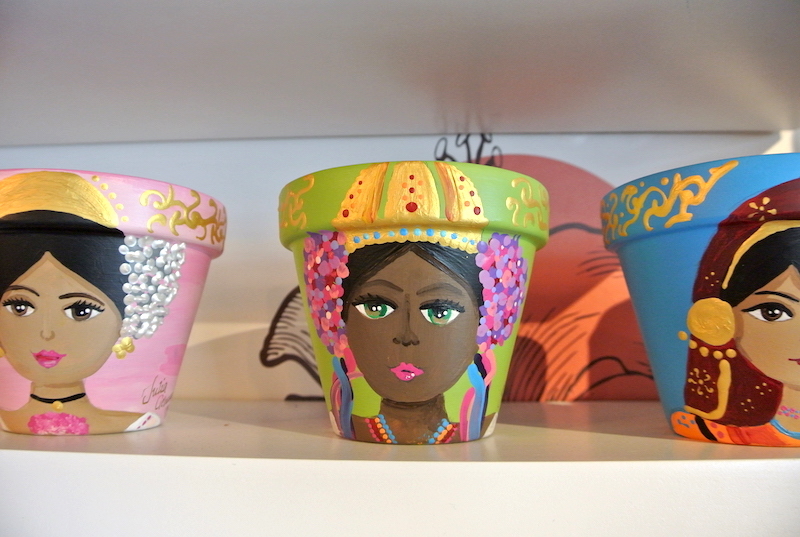 Pixvae is located on Calle 75 San Francisco, Plaza Comercial La Placita SF 75, local No. 2. They are open every day from 7:30 am to 8:30 pm. They can be contacted by phone at (507) 395 4603 or email at info@pixvaepty.com. This is a sponsored post promoting Pixvae, and I received compensation in exchange for writing this review. Although this post is sponsored, all opinions are my own, and I will never publish anything that I wouldn’t go to myself. For information on promoting your business through PTY Life visit THIS LINK.